I'm having an issue with our site editors users, those users can't deploy existing modules to a page in the scenario described below. Please let me know if there is a fix for that problem. 1. 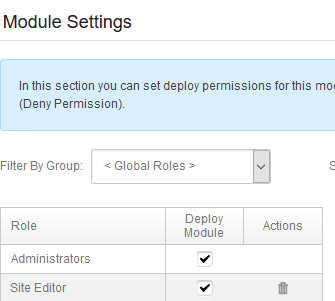 Administrator grants for the HTML module, a deploy permission to a role named Site Editor and updates the desktop module with the new setting.